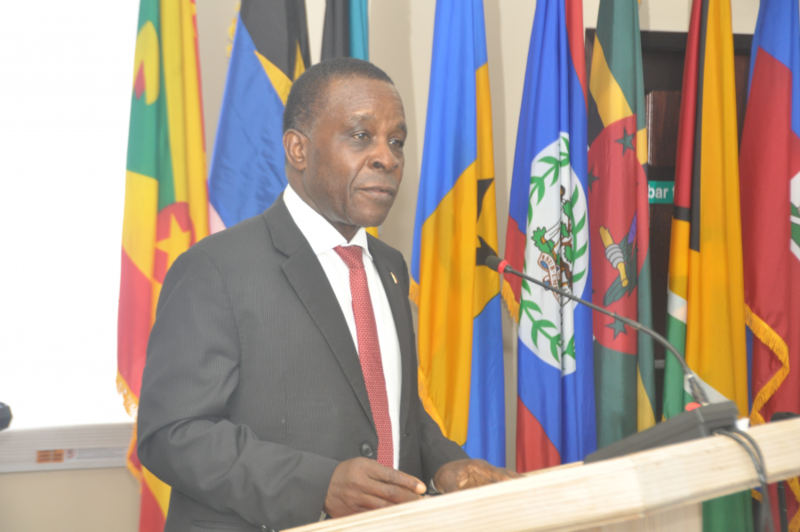 Remarks by Prime Minister, Dr the Right Honourable Keith Mitchell at the 20th Meeting of the Council for National Security and Law Enforcement, at the Radisson Grenada Beach Resort on12 April 2019. In welcoming you, I find it necessary to raise a point of concern. I have been advised by the Caricom Secretariat that getting the Council for National Security and Law Enforcement (CONSLE) going has been an enormous challenge. If we are serious about security being the number one factor in any serious development initiatives in the region, we must act accordingly. Without security, nothing else works, I think we all know that theoretically, but we have to act on that knowledge. I have also received a brief about the serious financial troubles facing Caricom Implementation Agency for Crime and Security (IMPACS). If we are asking persons to make sacrifices and perform the required duties, we must find the necessary resources to remunerate them. Grenada has always stood tall in financing security forces in the region, whether it’s IMPACS, RSS or other institutions. Colleagues, we have to get it right and I am heartened that you took the time to be here for us to engage on the matter of security. Sisters and brothers, National Security can never be over-emphasised and further, the relevance of border security at the regional level takes on even greater significance because of the porous nature of our borders. We often say that the world has become a global village, but for us in the Caribbean, we have always co-existed in close proximity. What happens in Grenada can easily cross our borders and affect our neighbours. We should all be singing from same hymn sheet with respect to Venezuela. It is unfortunate that we have not been doing so. It is important for us to realise that the only way to succeed and be taken seriously, we must hold hands together. We may not always agree with each other, but we must hold hands together, that is when we are respected. Simply put, each country’s security is correlated with others, we have to accept that. Sisters and brothers, crime is an inescapable reality we must all face. Despite the very best efforts of law enforcement agencies, crime continues to plague our societies. Some of our neighbouring countries right here in the Caribbean are classified amongst the most violent in the world by virtue of the number of homicides to population ratio. Also, the proliferation of illegal firearms which continues to play a significant role in organised criminal activity, is leaving too many victims in its wake. What is troubling is the lack of success stories in solving those crimes; we all know that the less successful we are in solving criminal activity, it is more likely that we will see increases in that area. Additionally, this era of significant technological advances has brought with it, new and emerging threats in the domain of cyberspace. These have moved from being at our doorsteps to the status of fast becoming a pervasive threat as our new virtual world often provides the cover of anonymity to many who wish to ply their nefarious trades within our borders. Another important consideration is the impact of climate change and natural disasters on national security. Some may say it does not exist, but we know the impact of this in the region. While we are not the ones responsible for the problems creating it, we are the ones who face the enormous consequences of climate change. Today’s meeting is critically important as we prepare for a Special Summit of Caricom Heads of Government which will focus specifically on matters of security and to consider those regional strategies and activities currently underway. We must be seen to be dealing with the fundamental problems that we face. Sisters and brothers, more than ever, we need each other as our fight against crime is a collective one. As small, fledgling economies we are also unfairly subjected to international assessments that sometimes result in blacklisting. Honourable Ministers, based on the agenda here today, I ask that you address the matters not only from a national perspective, but to consider them from a regional standpoint. I encourage you to recognise that there is strength in unity and any divisive behaviour can only hinder the region’s progress towards continuously improving our economies and creating better opportunities for our citizens. I would like to take this opportunity to look at some of the regional achievements in this area over the last year or so. I am proud to say today that with respect to the implementation of the regional Advance Cargo Information System (ACIS), Grenada has been the first pilot site. All our countries are now participating in the Advance Passenger Information System (APIS). For many years, we have been asking for an expansion of this system to ensure that our border security is augmented at the regional level, and I am heartened to learn that the associate member states, the UK Territories, are slowly but surely joining the system. With the expansion of the number of categories which can move under the Skills Certificate Regime, the recent regional workshop done by the Caricom IMPACS and its partners in the private security industry, proved to be useful and I am sure this is just the beginning as we move towards regulation and certification to ensure that our security is not compromised. As we move towards fully implementing the Caricom Single Market and Economy, we continue to recognise that one of the most important underpinnings of that regime, is a safe and secure Caribbean Community. To achieve this therefore, all of our security challenges, whether they may be cyber-related as mentioned before or the movement of foreign terrorists, must be addressed collectively. Sisters and brothers, let us not leave here today without frank discussion on the financing of the region’s security architecture and important institutions such as Caricom IMPACS, the Regional Security System and the Caribbean Disaster Emergency Management Agency. Lest we forget, each of these institutions are different but complementary components of our wider security architecture and provide critical services to all of us in this region. There are solutions, but we must be open to listening and learning and pursuing these opportunities in a spirit of cooperation. We claim to have security as our number one priority. The movement of people, trans-border crime and the threat of terrorism pose significant challenges. Security is an item on the agenda of every Heads of Government meeting that I have attended. We therefore must be prepared to finance the operations of the institutions that protect and serve us in that area. They serve us well and we all benefit. It is important therefore that we all contribute to ensuring the sustainability of these organisations. The security of our region should never be compromised by our failure to demonstrate full commitment to our regional institutions. And for those who serve us with such commitment and dedication, receiving their salaries should never be a source of concern. Persons cannot be working and wondering if they will be paid at the end of the month. None of us will be satisfied in our own areas, if we have to face that problem. Therefore, if we think of ourselves, we must think of those who serve us well. I am confident that this council will consider the issues in a meaningful manner and the decisions made here today will ensure a successful Special Summit of Caricom Heads on Crime and Security when we meet in Trinidad and Tobago early next month. I look forward to fruitful discussions. Sometimes we talk a lot and make little decisions; I am interested in little talk and lots of decisions.